Afghanistan vs Bangladesh 3rd t20 match will be played in Rajeev Gandhi International Cricket Stadium Dehradun Uttarakhand on 7 Jun 2018. 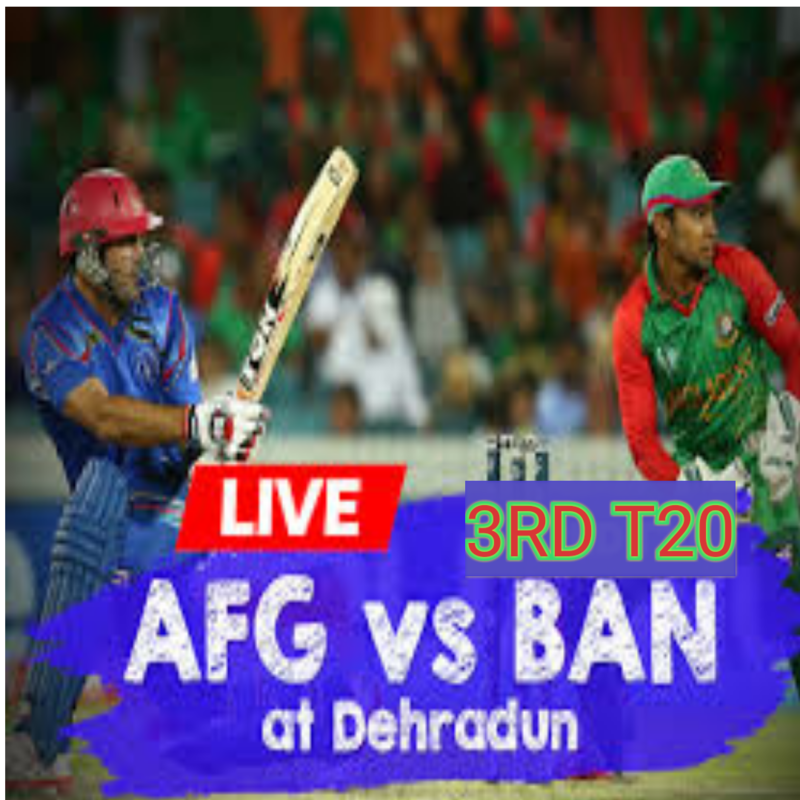 After 2 comprehensive win Afghanistan looking for 3rd win to clean sweep Bangladesh in series of 3 t20 match between Afghanistan and Bangladesh. All the players of Afghanistan are in good form. Rasid Khan's bowling was fantastic in previous matches. Batting is also awesome Nabi scored 20 runs in just 5 delivery which was needed to win in 12 bowls. Bangladesh will struggle for minimum 1 win in this series. So match will be very interesting. I will updated you time to time when match will start. M Shahjad(WK), Usman Ghani, Asghar Stanikzai (c), N Zadran, M Nabi, S Shenwari, S Shafiq, K Janat, Rasid Khan, M Ur Rahman, S Zadran. T Iqbal, L Das, S Al Hasan(c), M Rahim(w), Mahmudullah, S Rahman, M Hossain, A Jayed, R Hossain, N Islam, Abul Hasan. There are no changes in Afghanistan's team but Bangladesh may change some players.